Flip a coin. If heads, remove 2 damage from Pikachu and Taillow. Flip a coin. If heads the defending Pokémon is confused. 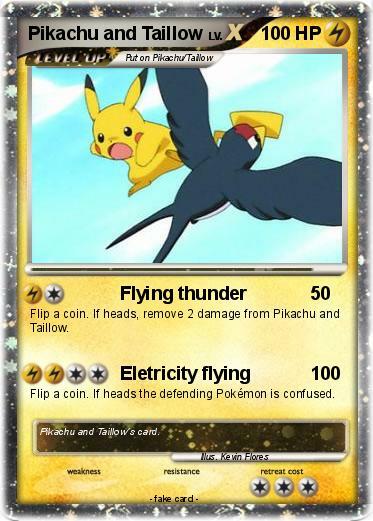 Comments : Pikachu and Taillow´s card.